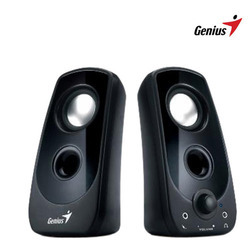 Genius introduces you to another great speaker set, SP-U150, whose power is supplied through a USB port from a PC/notebook. With a big 52mm speaker driver, SP-U150 brings you amazing balance and loud sound in a total of 4 watt output. Just insert the USB plug and 3.5mm audio plug to a PC/notebook to hear your favorite music. 1.USB Mini Speakers Apple Shape. Available In White, Black, Pink, Red, Green, Silver Colors. 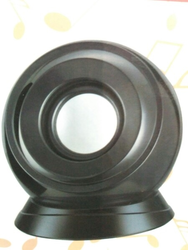 We are offering wide range of mini USB speaker. In order to cater the variegated demands of our precious clients, we are offering a wide range of USB Bluetooth Speaker. Hear the clear, crisp sound and feel the deep bass. Enjoy music, games, movies and online videos - Zvuk multimedia speakers work with MAC and Windows. Good sound, suitable for desktop pcs, laptop, notebook. Crafted with a built-in bass port, the techcom gives you extended bass for your music while taking up minimal space on your desk. Electronic USB speaker With Aux with high and crystal clear sound.